Before man walked the earth ... it slept for centuries. It is evil. It is real. It is awakening. $4.657 million on 1239 screens. After director John Carpenter built his name on horror flicks like Halloween and The Fog, he took a brief detour. 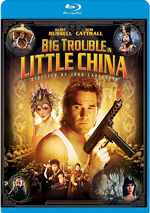 1984’s Starman offered sci-fi with a romantic bent, and 1986’s Big Trouble in Little China delivered Indiana Jones-style action/adventure. Though the latter now boasts a pretty good cult fan base, it stiffed at the box office in 1986, a factor that may’ve encouraged Carpenter to head back to horror with 1987’s Prince of Darkness. A priest (Donald Pleasence) comes to university physics professor Howard Birack (Victor Wong) and tells him that a deceased cleric acted as the guardian of an ancient cult. The priest tells Dr. Birack of “The Brotherhood of Sleep” and leads him into a hidden basement where they find a canister filled with mysterious green fluid. To investigate this, Dr. Birack recruits his grad students to assist. There they spend a weekend at work to find out the secrets of an ancient text as well as the meaning of the green goo. We follow their efforts and the terror that becomes unleashed along the way. In my prior reviews, I’ve opined that Carpenter essentially “lost his way” after Big Trouble, as that seems to be the last film of his that made a dent with viewers. Personally, I think his last creative gasp came with 1982’s The Thing, but at least Starman and 1983’s Christine produced decent box office results. I’ve maintained my belief that Carpenter made lackluster films after the mid-80s based on those I saw, but because I’d not viewed all of them, I hoped I might find a “hidden gem” with Darkness. I figured it deserved a shot, as perhaps it would change my mind about Carpenter’s career trajectory. Alas, it did not. While I don’t think Darkness offers a complete dud, it does a lot more wrong than right. Essentially, Darkness gives us a standard horror movie with pretensions to greater philosophical depth. To avoid spoilers, I won’t say too much, but the film’s theological elements provide some intriguing notions and indicate possible paths that could’ve made the end result fascinating. Unfortunately, Darkness does little more than pay lip service to these concepts. It uses the religious notions as backdrop for a tale that ends up as predictable, uninspired horror fare. Darkness often feels reminiscent of The Thing, as it follows a “virus” that slowly impacts a series of victims stuck in a confined place; it alters that premise so it doesn’t come across as a knock-off of the earlier flick, but it produces definite echoes. It’s always dangerous when a director creates a semi-self-referential film, as audiences might defer to the earlier effort and judge the newer one in a negative light if it doesn’t work as well. Since Darkness doesn’t provide an experience nearly as good as The Thing, that becomes an issue here; as I watched Darkness, it did little other than make me wish I had The Thing on my screen instead. In addition to the movie’s derivative feel, Carpenter telegraphs its tone too far in advance. From the opening credits, the flick’s oppressive score influences us. This leaves little room for the story to breathe so its attempts to elevate the scares don’t work; we’re already conditioned for a sense of dread and don’t feel much impact from the escalating drama. Granted, The Thing did the same, but that one backed up its music with good action and drama; I can’t say the same about the tepid Darkness. It doesn’t help that Darkness comes with pathetic attempts at character development. Early on, we meet grad students Brian Marsh (Jameson Parker) and Catherine Danforth (Lisa Blount) and follow their romantic interactions. I guess these intend to provide roles with whom the audience can bond, but that attempt doesn’t work. Those two – and all the others in the film – remain resolutely one-dimensional and forgettable; we never feel the slightest interest in them and couldn’t care less what happens to them in the end. The actors fail to do anything to elevate their parts. Blount and Parker come across as bland and anonymous, while the supporting performers tend to seem like stereotypes without any real personality. No, I don’t expect Oscar-worthy performances in movies such as this, but I’d like actors who bring some spark to their parts; that doesn’t occur here. I do think Darkness comes with a kernel of potential, but it squanders those aspirations. That leads to an ordinary horror film without any real development or depth; it throws predictable scares at us but lacks more to make it stand out from the crowd. 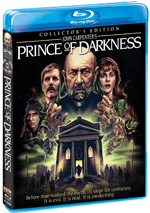 Prince of Darkness appears in an aspect ratio of approximately 2.35:1 on this Blu-Ray Disc. Though not flawless, the movie came with a strong image. Only occasional instances of softness occurred. For instance, an early scene with the priest demonstrated an odd lack of definition. However, those instances remained the exception, as the film usually came with solid delineation and clarity. I witnessed no signs of shimmering or jaggies, and edge haloes failed to appear. The movie featured natural grain, so I suspected no overzealous digital noise reduction, and print flaws didn’t cause any distractions. Colors tended toward a natural look. The movie didn’t boast dynamic hues, but the tones remained pretty full and accurate. Blacks seemed deep and dark, and shadows showed nice smoothness. This became a pleasing presentation. I also liked the DTS-HD MA 5.1 soundtrack of Darkness. Music offered the most significant aspect of the soundfield, as the mix used all the speakers to surround us with score at appropriate times. The music showed nice spread and worked as a surprisingly active partner. Effects weren’t quite as important, but they added some good information. Much of the material came from the center, but other elements popped up from the side and rear channels to add involvement to the track. While it wasn’t a tremendously involving mix, it came with some good information. Audio quality seemed dated but fine. Speech occasionally showed a bit of edginess, but the lines remained easily intelligible and usually sounded pretty natural. Music showed nice range and heft, while effects offered mostly good accuracy and clarity. All of this added up to a “B” soundtrack. 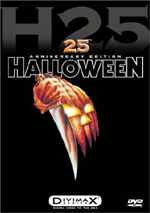 The disc boasts a bunch of extras, and we open with an audio commentary from director John Carpenter and actor Peter Jason. Recorded in 2001 – I believe - it appears this track makes its US debut here; from what I found, it only appeared on non-US DVDs in the past. They sit together for this running, screen-specific look at story/character areas, sets and locations, cast and performances, music, editing, various effects, and other topics. Jason fills the Kurt Russell chair as “jovial sidekick” during this peppy chat – heck, Jason even laughs like Russell! Actually, Jason and Carpenter have a more faux adversarial rapport than Russell/Carpenter ever did; they like to bust each others’ chops in a humorous manner. I think this track tends to be less informative than the Russell/Carpenter discussions, though. We do learn a decent amount about the movie, but Carpenter often complains that he can’t remember much about the film, and he sometimes simply narrates it. Still, even without tons of production notes, the commentary moves well and offers enough fun to make it worth a listen. A series of featurettes follow. Sympathy for the Devil: An Interview with John Carpenter lasts 10 minutes, 28 seconds and features the director’s thoughts about influences and the film’s origins/development, pacing and editing, sets and locations, effects, and the movie’s life on home video. Carpenter provides some interesting thoughts and gives us a good complement to the commentary. We hear from the rock star turned actor in Alice at the Apocalypse: An Interview with Alice Cooper. It goes for nine minutes, 27 seconds and offers Cooper’s remarks about his childhood love of horror films, how he came onto the flick, working on it, and his impressions of the final product. Cooper doesn’t give us many insights, but he’s chatty and amiable enough to keep us interested. Next comes the 12-minute, 41-second The Messenger: An Interview with Actor and Special Visual Effects Supervisor Robert Grasmere. In this, we learn about his performance as a movie character as well as his work on various practical effects used in the flick. Grasmere mixes the two sides well in this fun, informative chat. Music comes to the fore in Hell on Earth: A Look at the Film’s Score with Co-Composer Alan Howarth. For this 10-minute, 15-second piece, he talks about the movie’s music and his collaboration with Carpenter. We find another interesting piece here. Part of a series, Horror’s Hallowed Ground fills 13 minutes, 44 seconds as it takes us to various Darkness locations. HorrorHound Magazine’s Sean Clark leads us through different spots and lets us compare them to their use in the movie. A companion piece appears on the Blu-ray for The Fog, but this one works better, mainly because Clark tones down the comedic shtick. He’s still irreverent at times, but the focus seems tighter here, and that makes this a good glimpse of the locations. Although we find no deleted scenes on the disc, we do get an Alternate Opening from TV Version. It lasts six minutes, 55 seconds and shows a re-edited version of the film’s beginning that changes its tone and potential meaning. This becomes interesting to see; it’s too bad the disc doesn’t simply offer the entire TV version for comparison’s sake. We also locate a Trailer and two Radio Spots. A Still Gallery delivers 51 images. We see shots from the set and the movie, publicity images and ads. It ends up as a decent collection. Finally, the disc includes an Easter Egg - click right from any of the extras on the “Bonus” menu’s second page to find it. The 12-minute, 10-second reel takes us 2012’s “ScreamFest” and a Q&A with Carpenter. He chats a bit more about different aspects of the movie and his career. The presentation is a bit dodgy – it can be tough to hear the audience questions – but it’s still a good addition. By 1987’s Prince of Darkness, director John Carpenter seems to have gone onto auto-pilot. Though it boasts potential, the movie ends up as a predictable, trite collection of horror tropes. The Blu-ray brings us good picture and audio along with a nice collection of bonus materials. I think this becomes a quality representation of a mediocre movie.